The portfolio management page can be found under Your organisation > Portfolios. Users who are a member of a portfolio or have admin access to the organisation will be able to access this page. 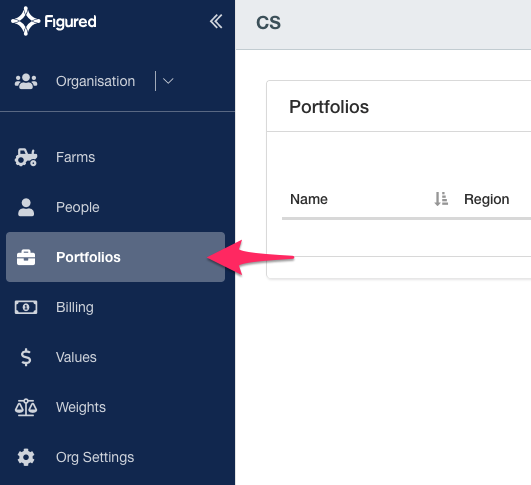 Administrators and portfolio owners will also be able to view and edit their own portfolios. If you do not have access to the Portfolio tab it means you don't belong to one and you will need to contact the owner of your organisation to create a portfolio for you, or add you to an existing portfolio. Only an organisation admin can add a new portfolio. To do this click Add new. 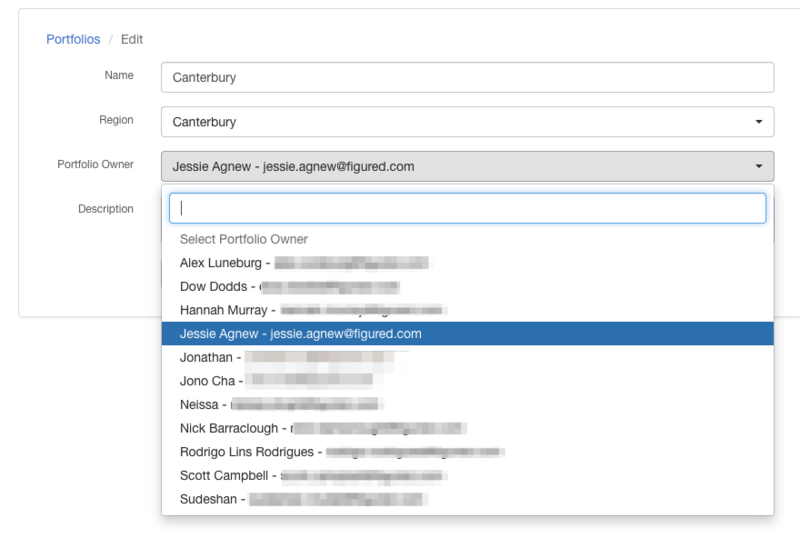 Next you'll fill in the details for your portfolio - Name, region, owner, and description. 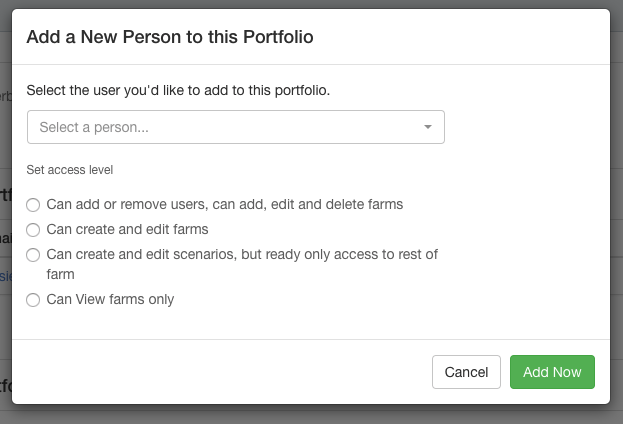 After a portfolio has been created, you can add users and farms to it. In order to add a person they must be a part of your organisation. You can grant them four different levels of access. To add a farm to the portfolio, they must have added the organisation to the farm itself under Farm > Settings > Organisation. 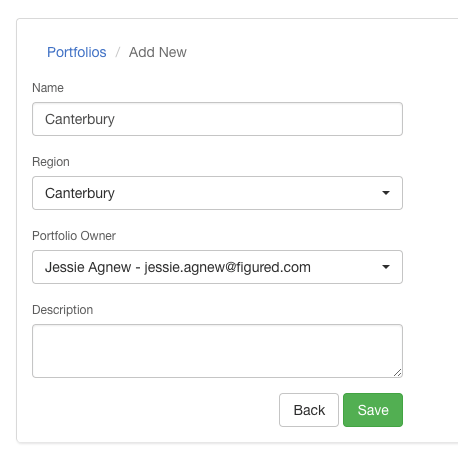 Changing the portfolio owner can be done under edit portfolio on the bottom right.